If you play a lot of flash/browser based games then you may recognize the title Steampunk Tower. 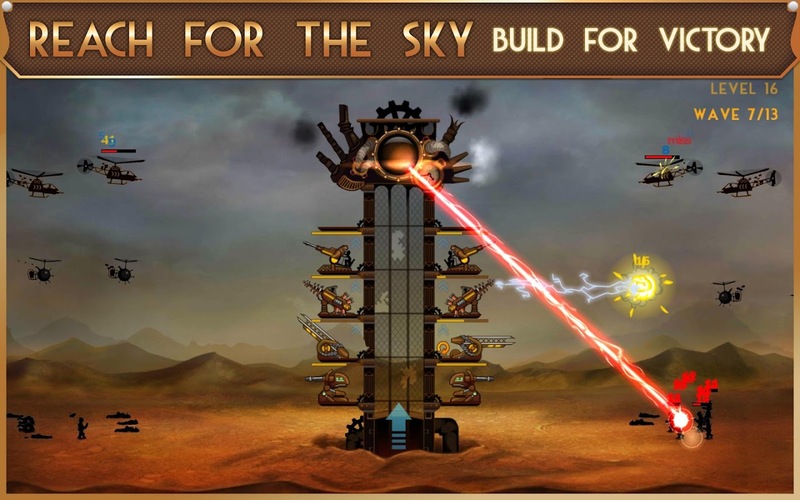 It was put out a few months ago on sites like Kongregate and such and features you controlling a steampunk Tesla inspired tower as you take down the incoming foes. 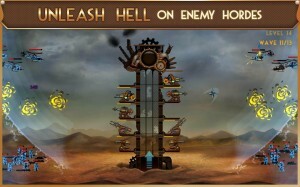 Well, now Chillingo has published Steampunk Tower for mobile so if you missed out on it you can now play it on the go. The story behind Steampunk Tower is that you control an immense steampunk tower for Lord Bingham and you are defending his Eherium Mine. You can of course then upgrade your tower to have such weapons like saw blades, cannons, machine guns, lightning coils and more. 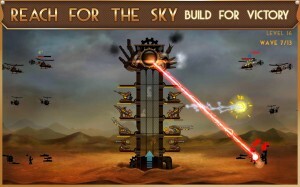 There are 20 levels in total and as you progress your tower gets bigger and bigger making room for more firepower! For some reason there is nothing more satisfying than putting four Tesla coils on your tower and watching the enemy soldiers and tanks explode. 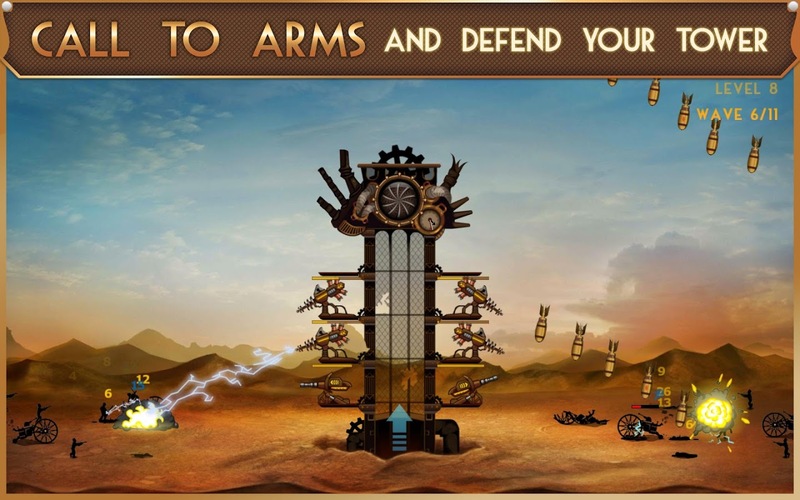 Rounding out the experience of Steampunk Tower is great steampunk inspired graphics and soundtrack. 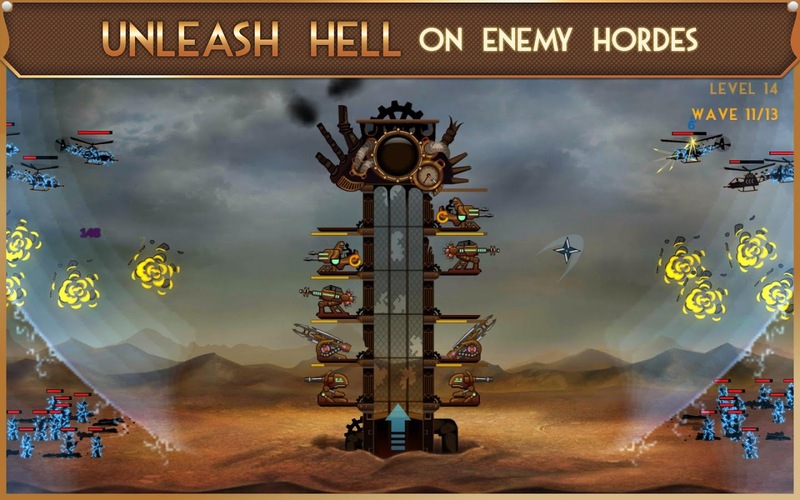 Overall Steampunk Tower is an extremely fun game to literally blow off some steam with.